Jane Porter does it again!! 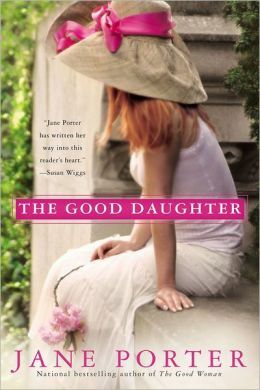 I demolished the first of the Brennan Sister novels, The Good Woman, and I think I read The Good Daughter even faster. I’m usually disappointed by the second book in a trilogy. Not because it isn’t good, but because it’s so hard to create the same magic that made you love the first one while also keeping the second book unique. There are subtle differences that make The Good Daughter different from the first, but it’s full of all of the characters that we have come to know and love, plus a few more for good measure. Rather than jumping from perspective to perspective of all the Brennan sisters, we spend most of the time with Kit. The only other perspective we follow is that of one of Kit’s students, Delilah. In the first book it was great to get to know all of the characters, particularly as it helped to set the tone for the rest of the trilogy, but I really enjoyed focusing on just Kit. Based on the synopsis, I had anticipated more of a romance aspect, but there are so many other issues that the author focuses on leaving romance to take the back burner. Not to say that it isn’t there, it’s just secondary to the other stuff. I’ve sat here for the past half an hour trying to think of a way to put into words how great this book is, and I’m finding myself lacking. So, I’ll just go with this; Jane Porter is a fantastic writer who created a world that pulled me in from the first page and left me eager to go back. I can’t wait until the third book in the trilogy, The Good Wife, comes out in September. Well, this is a trilogy I haven’t heard of. I love reading reviews and getting other people’s perspectives as to how they felt the book was before i ever even consider purchasing to read for myself. I really don’t want to waste the time nor the money when the book just isn’t worth it. Well, this sounds like a great trilogy. This will be on shopping list next time I’m looking for some reading material. I didn’t realize this was a second in the trilogy. I would have to get book one first, but it sounds so worth it to do so. The Good Daughter trilogy sounds like a book I would be interested in. I’d have to read The Good Woman first to get know the characters. I like to read other people comments on a book first to see if it’s good. I have never read any of her books and they sound wonderful. That’s quite the recommendation! It’s nice to see a second book that lives up to the first. Even in trilogies I really enjoy, the second often seems like filler. I have read and enjoyed other Jane Porter books, but I haven’t started this trilogy yet. I love the cover on this book. I’ve not heard of this trilogy but will be looking them up for sure! Thanks for the introduction! Jane Porter is one of my favorite authors!!! I need to read this series! Thanks for the review. Can’t wait to read it! I’m not big on romance novels anyways, so glad there are other aspects of it. Sounds like a good author that will be added to my list of must reads.